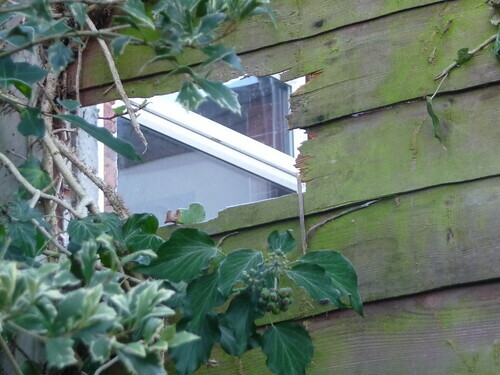 Lately one of our neighbour’s dogs has been breaking in to our garden. A few weeks ago Phil caught him chomping a hole in one of the fence panels big enough to put his head through and watch what Phil was up to. Since then he’s moved on to creating dog-sized holes that he can fit though. 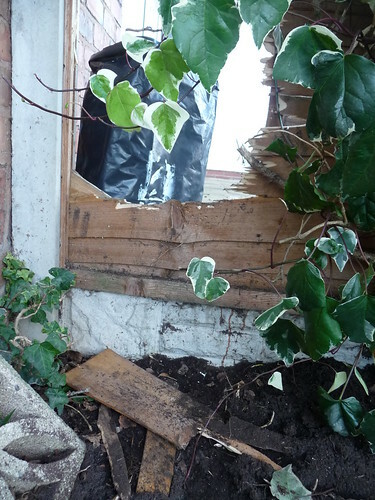 He started at one end of the fence, and when the neighbour replaced that panel, moved to the other end of the fence and did the same again. We haven’t actually caught him in the garden yet, but we have found the various things he’s left behind (dog jacket, food bowl…) and found our flower beds dug up. Luckily I haven’t got around to doing much in the garden as of yet, but I don’t want him digging up the plants I’m planning to put in this spring.